It can get very hot in the tropics. 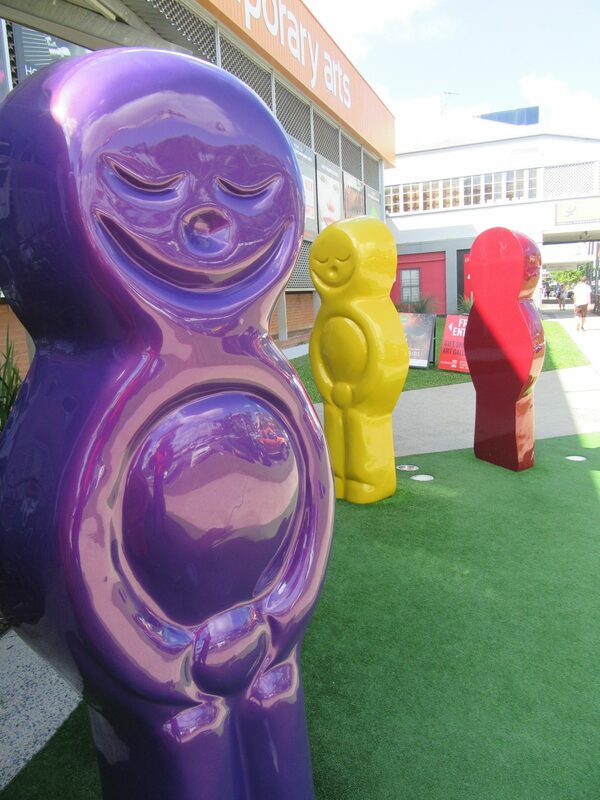 On a recent visit to Cairns we caught up with Jay Horne, publisher and editor of FNQ Magazine while he was working in his other role as owner of Paradiso Cafe, located at the Centre Of Contemporary Arts Cairns (just look for the giant jelly babies) in Abbott Street. 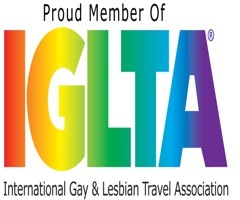 We were amazed at his passion and energy in helping to promote both gay travel, gay events and the gay community in what he refers to as the ‘tropical pink paradise’ of Far North Queensland. 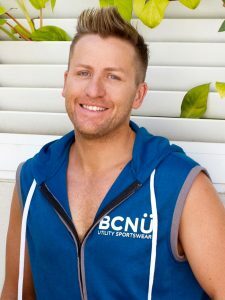 Jay established FNQ Magazine with his partner Aaron almost three years ago and today the magazine is the key to being up to speed with the latest gay happenings and the best things to do in Cairns as well as promoting gay friendly places to stay, eat, party and play. 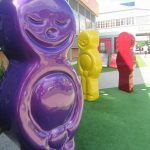 If you thought the fantastic climate, the magic of the reef and the layback relaxed feeling of Cairns were the main attractions for tourists in this stunning part of the world, then you are missing out on some of the good bits. Gay visitors can really make the best of the area if they dip into FNQ Magazine and find out about a whole range of events on offer. For example, since 2008 a group of volunteers who call themselves Out! 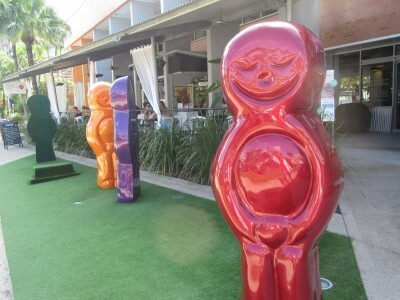 Cairns have been busy organising dance parties for the LGBTQI community on the first Saturday of every month and donate their profits back to local charities. The famous White Party, Uniform Party, Glitterball and the Splash Tropical Pool parties really live up to their motto, ‘we’re coming out and you better get the party started’. 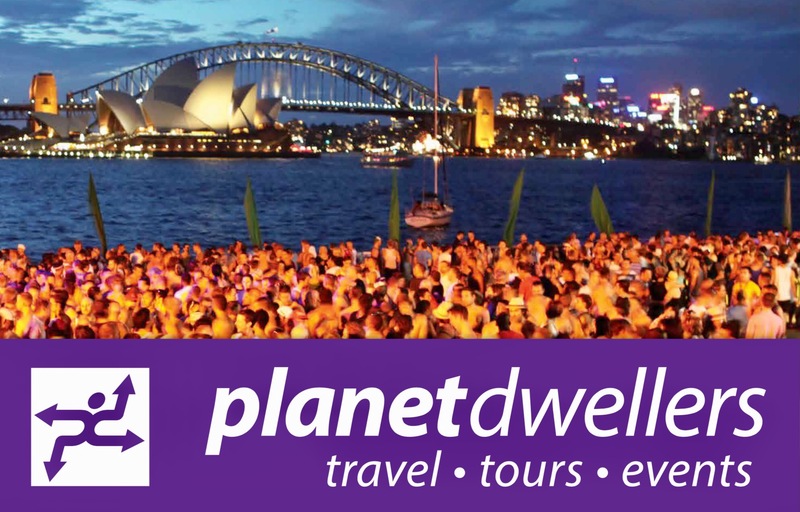 The annual gay FNQ Film Festival is held in July, starting on July 16 with well known Australian performer PAULINI at ‘Cocktails For Charity’ at Wharf One on the stunning Trinity Inlet, raising funds and awareness of the END HIV by 2020 campaign. The week concludes with the official ADMIT LOVE after party, one of the biggest LGBTQI parties in FNQ and will feature international pop sensation Bielfield. Other guests on the lineup include Aussie favourite’s Dj Mickey, transgender DJ Victoria Anthony, a couple of dancers and maybe a surprise or two… our lips are sealed. 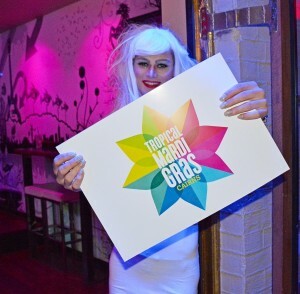 Tropical Mardi Gras runs from late September through to early October, ten days of gay fun in a tropical wonderland where the dance beats lead to the electrifying Splash Pool Party and a Recovery Beach Party. Fair Day, at the end of the Mardi Gras festival, is a huge community event where even people’s pet poodles ‘get their gay on’ in the dog parade. 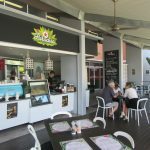 FNQ magazine also features gay and gay friendly businesses to help LGBTQI tourists travel comfortably, and perhaps even find a great cup of coffee, a good masseur, welcoming accommodation or an exciting adventure in this tropical playground. Jay is definitely a dynamo, running two demanding local businesses and networking daily with local community representatives. During our short meeting, he was also preparing to be a guest panelist at an Out For Australia youth forum being held at the Cairns campus of the Central Queensland University. The focus for the forum was on community engagement and showcasing how businesses and universities can partner to support LGBTQI students in regional areas. 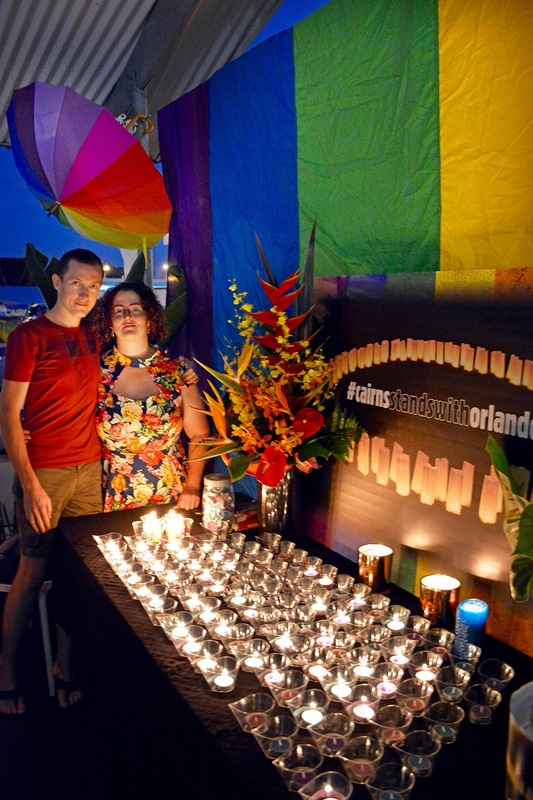 So it was no surprise to hear how he, through his magazine, his cafe and by working closely with other local businesses, had organised a vigil to honour the victims of the recent Orlando massacre. 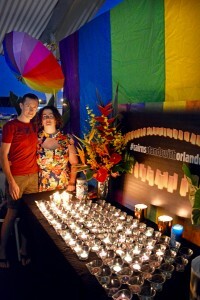 The editorial in the June 2016 issue focuses on how the experience brought somewhat diverse groups in the community together to mourn this terrible tragedy. This network also raised money through a collection jar which continues to move from business to business and will be donated to Equality Florida when Jay heads on yet another promo tour of the U.S.A with FNQ Magazine at the end of July. 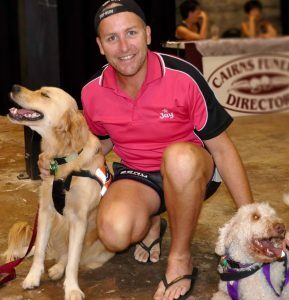 Jay initially launched a tourism portal/website called Go2GayCairns in 2012 and only one year later launched FNQ Magazine, which will celebrate its 3rd anniversary on the 2nd November. 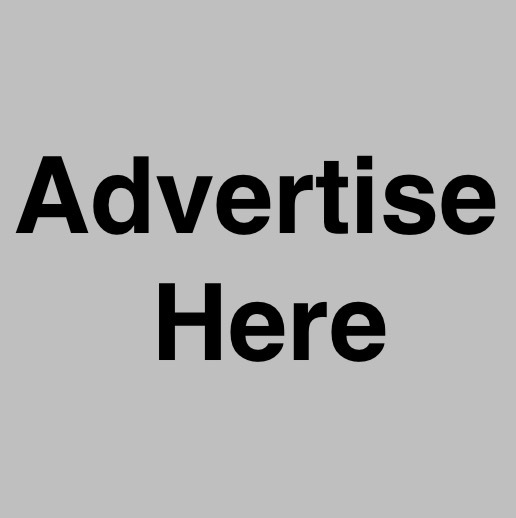 In it’s first year the magazine placed in the top 3 best non-daily publications against magazines and newspapers across his state at the Queensland Media Awards. No doubt this is a success earned from a lot of blood, sweat and tears and perhaps an occasional tiara. This is someone driven to bring his community together and we applaud his determination and stamina. Like so many young entrepreneurs of his generation he believes the answer to the survival and resurgence of the gay community is bringing people together to celebrate and share their love. And it’s working. 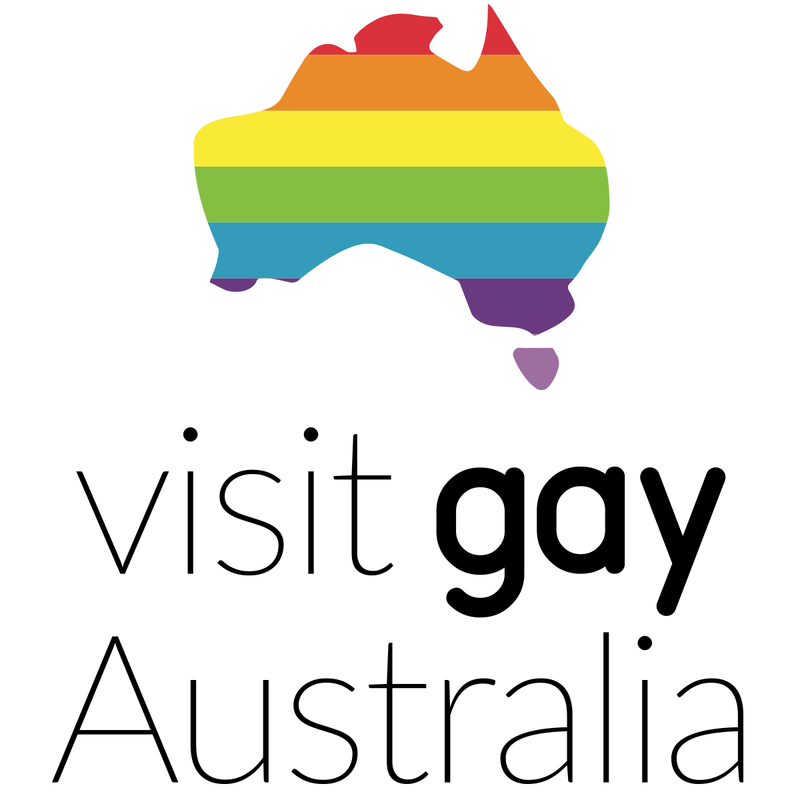 A growing number of enquiries from individuals and overseas companies suggest an increase in the gay market in this unique part of Australia. 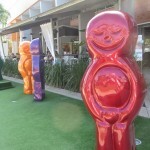 So here are some quick tips from us about your next trip to Far North Queensland. 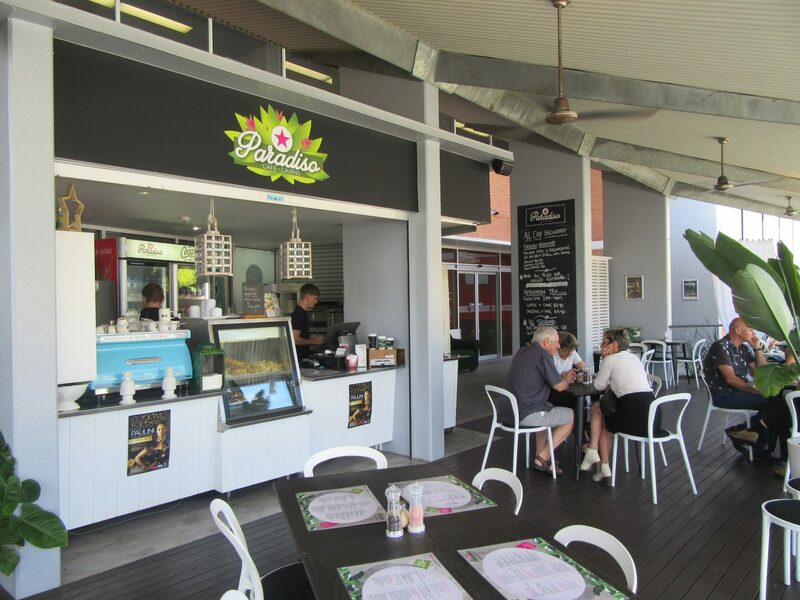 When you arrive in Cairns go straight to Paradiso Cafe, grab a delicious coffee and a free hard copy of FNQ Magazine.  If you are just planning your trip get the online version of the magazine or check out Go2GayCairns for inspiration. Get your holiday in the tropics off to a hot start.